Cloud9 is thrilled The Crossing Machine will be performing at our next concert on June 22nd. 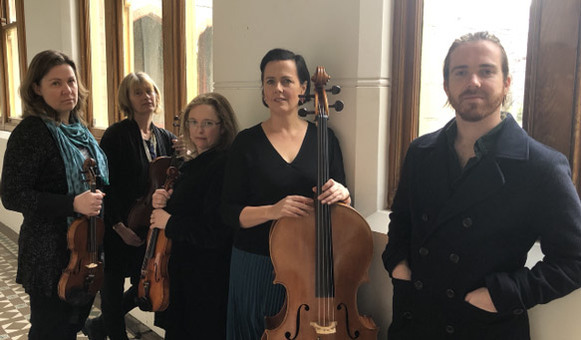 Happily, you don’t have to wait that long to see this wonderful String Quartet – their next concert series begins on Monday at The Butterfly Club. Tickets and details here. 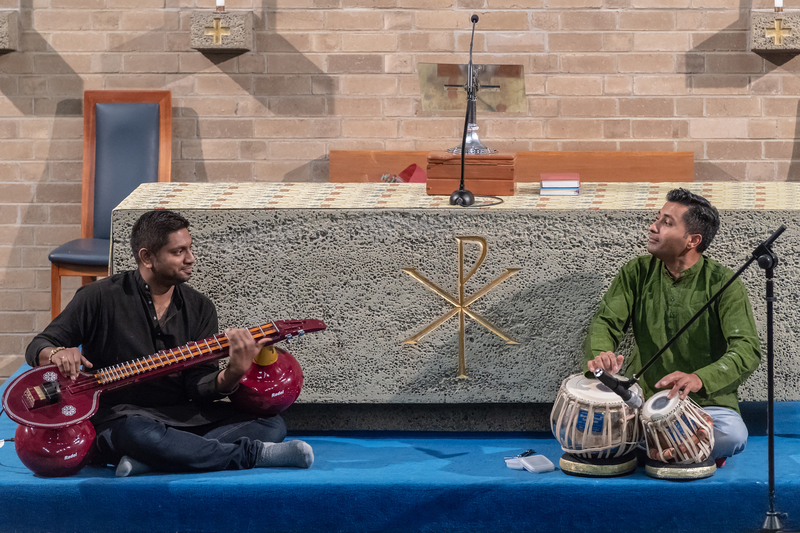 Cloud9’s next concert at 5.30 pm on June 22nd 2019 will be at Church of All Nations, 180 Palmerston St, Carlton, 3053. We will be performing Vivaldi’s Gloria for female voices with The Crossing Machine and the wonderful 130-year-old, very fine Fincham Organ played by Dean Sky-Lucas. 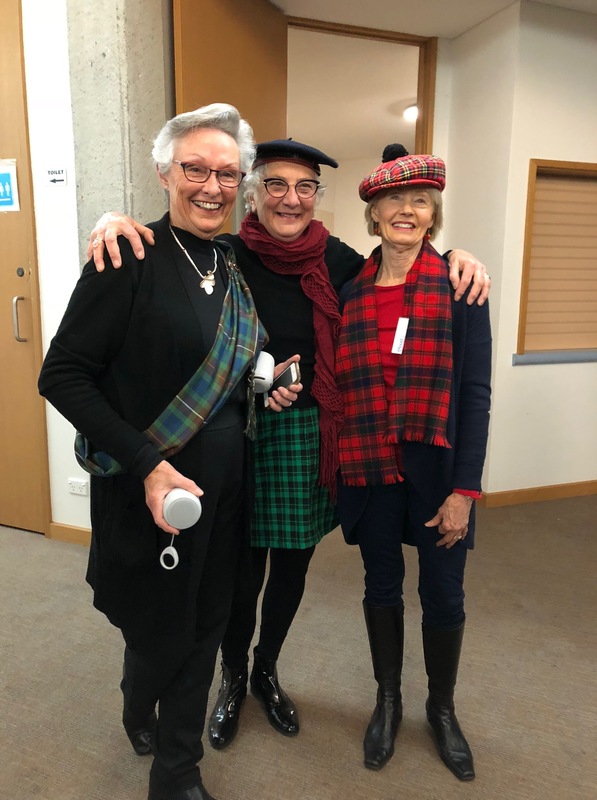 The other half of the concert will include songs by Edward Elgar, Michael Mcglynn, David Childs, Kim Andre Arnesen and Andrea Ramsey’s Lineage (hopefully sung a cappella). There is even a place for supper at this acoustically splendid church. If you are lucky you might score on-street parking out the front; otherwise, there are quite a few parking options within a short walk. You could download a handy parking app called Parkopaedia which details where to park for free and the cost of the local car parks too. There is ample public transport up Lygon St and car pooling will help reduce costs and our carbon footprint. What better way to celebrate International Women’s Day than spend an evening enjoying each other’s company and making beautiful music! 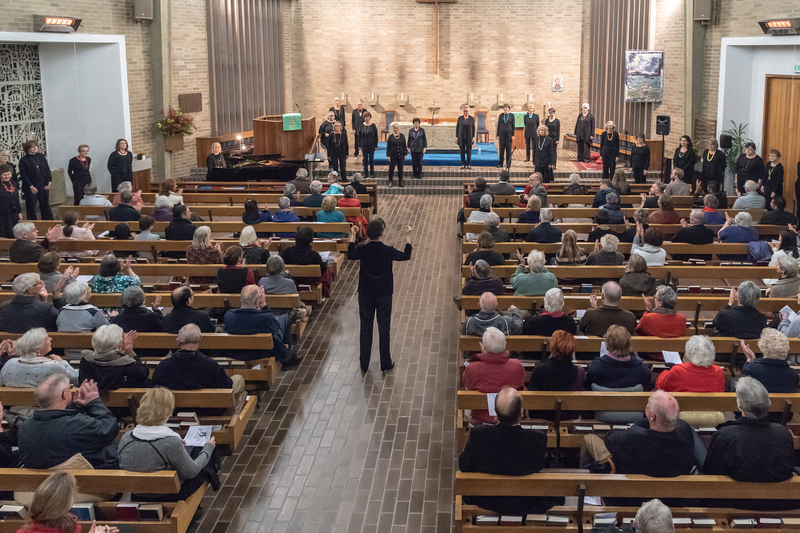 Have you noticed how popular choirs are becoming in this world of digital communication? Apparently Pub Choir is the next big thing for Gen Y/ Millennials and I think this demonstrates how urgently we still need to connect on a human level. It is informal, fun, and no one judges you or tells you to stop! 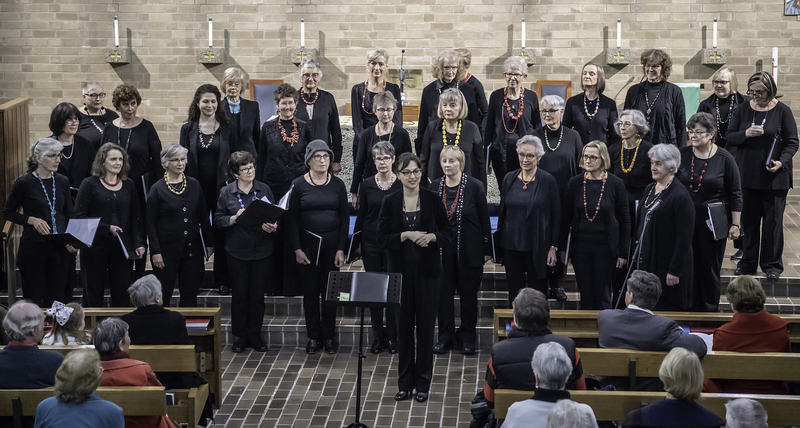 It seems that every other person has a story to tell about how they were asked not to sing when they first started in a choir in their formative years and so they stopped. That’s a shame because there is something very primal about standing next to another person and singing in unison: it unites us. 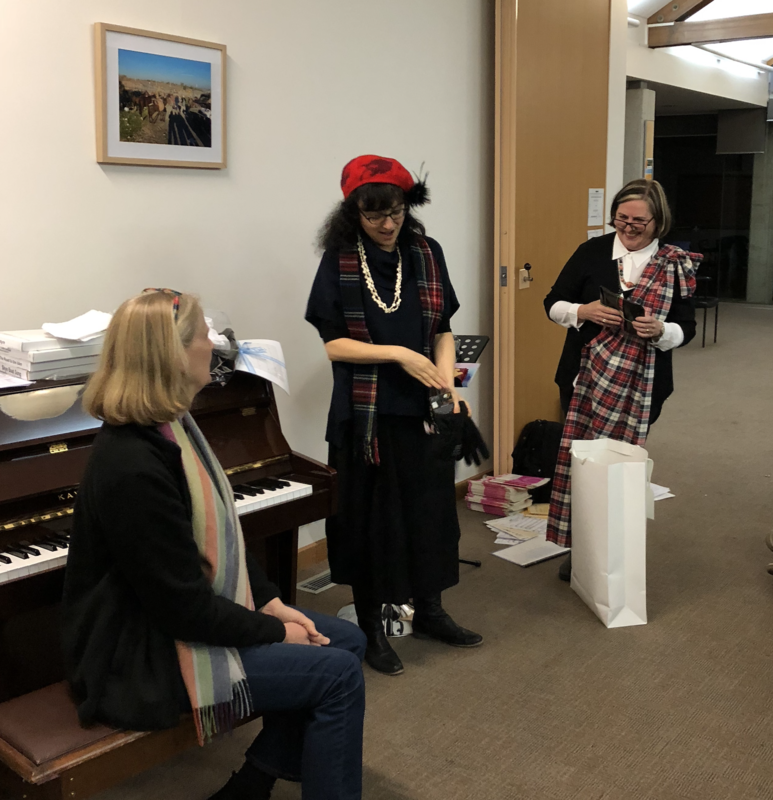 Everyone can do it; we sing to connect, to celebrate, to grieve, as part of ritual or ceremony, it stirs the emotions with variability of content and style. I was very struck by the Fijians singing in harmony in their huddle at the Rugby League World Cup 2017, but not so much by Aussie rules ( sorry Collingwood) although I am sure it was primal. When we sing in harmony, we resonate with each other and it has a profound effect on our physiology. 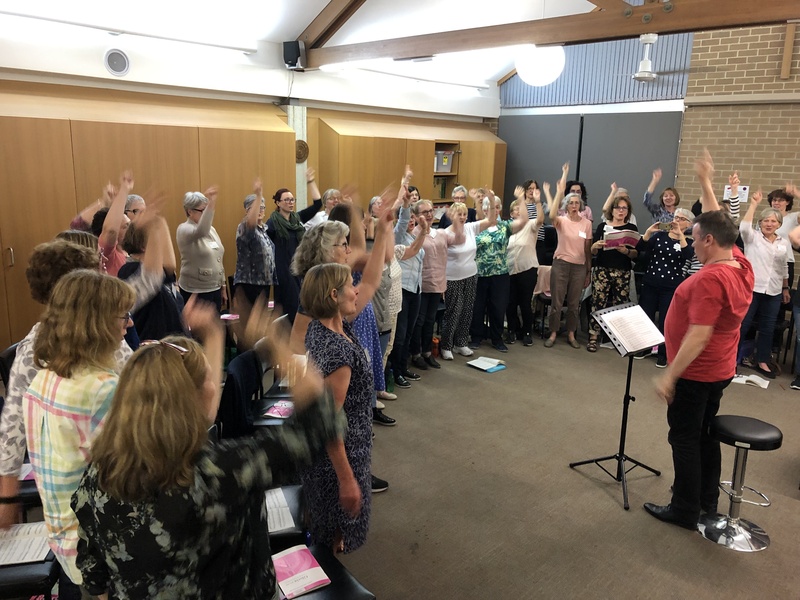 Singing together affects our hormones and increases the release of endorphins and oxytocin, the feel-good hormones, and we tend to synchronise our breathing and heart rates. This is both energising and relaxing at the same time. For me this tends to come after we have worked on a piece for a while so I am immersed in the music and not worrying about the notes or the timing or holding the music. I guess that is why our two signature songs – Let it Go and Blessing have so much connection for most of the choir. 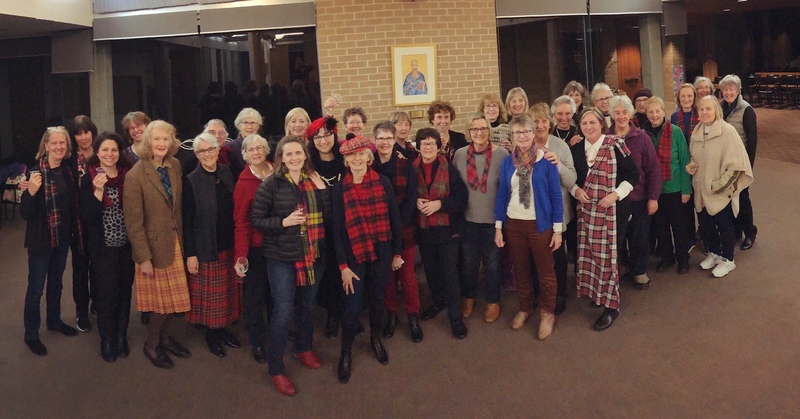 Choristers who meet regularly to sing know how good it is for body, mind and soul. 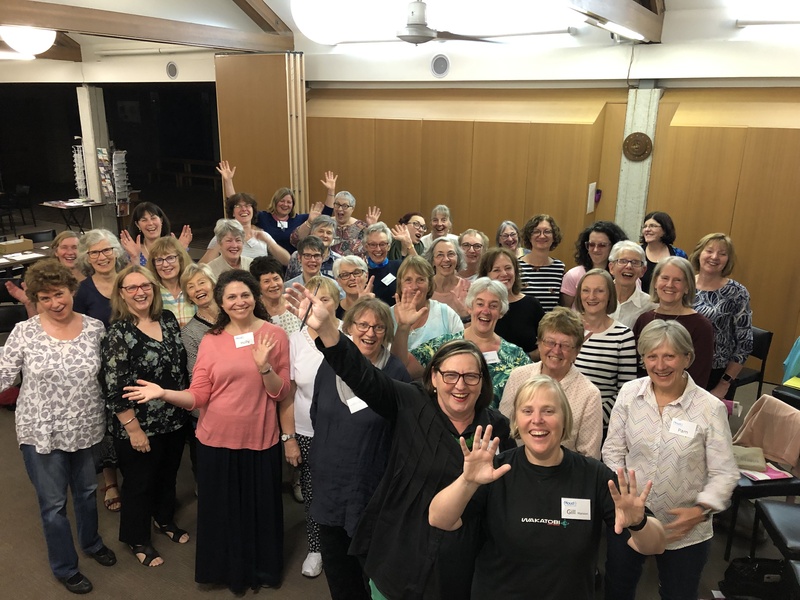 I sing with the Cloud 9 Women’s Choir because I love to sing, enjoy the company of a diverse range of women and benefit from the vocal and choral skills training provided weekly by our Musical Director Christine Storey and our accompanist Annabelle Clucas. I look forward to the benefits at rehearsal every Thursday night. 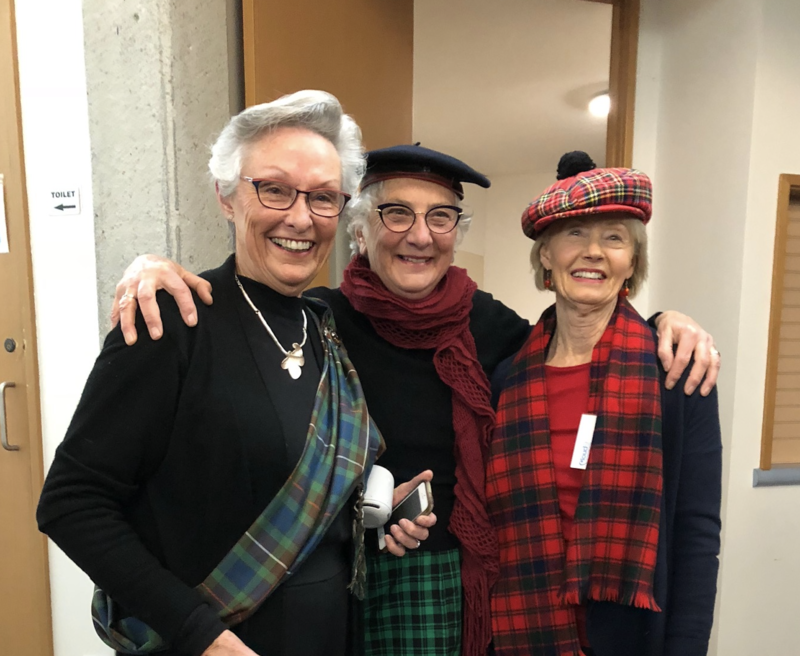 And the sense of accomplishment after we perform in concert is very special, and we share this by having supper, and the chance to talk and catch up with our audience. 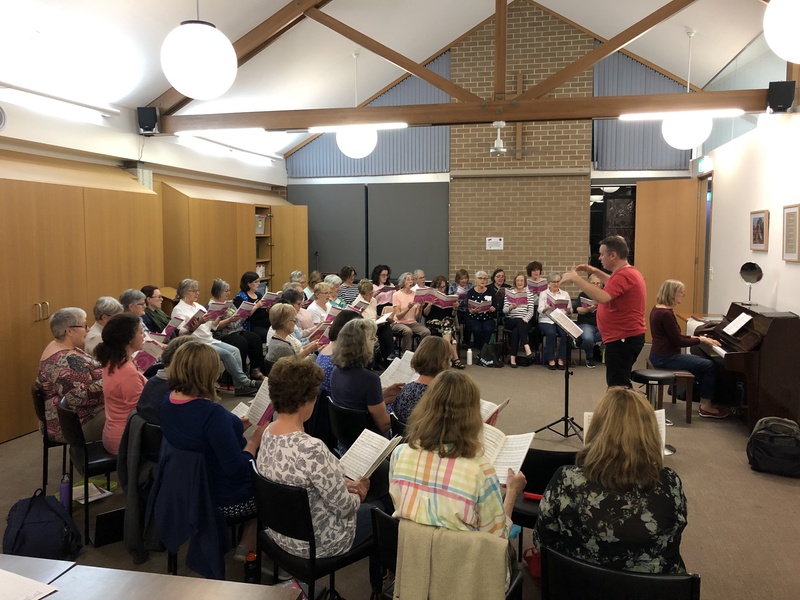 Our first rehearsal on Jan 31st was a taster of things to come: we started work on the Vivaldi Gloria for female voices, as well as some Elgar songs both of which we plan to do with string accompaniment at the end of Term 2. The Mid-year Concert date TBC so keep checking back here for more details as they arise. 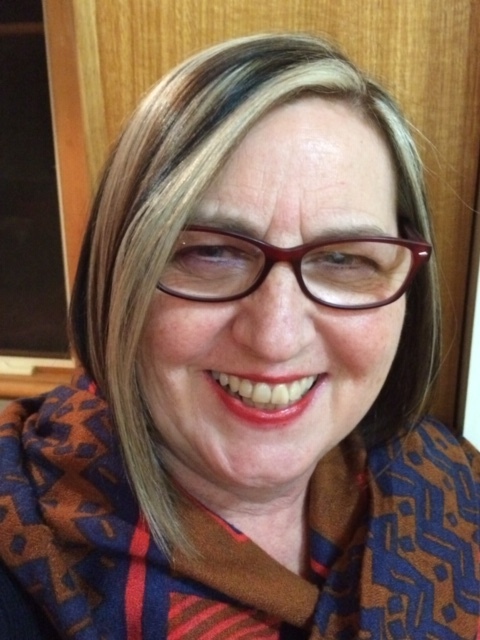 Christine Storey our Musical Director introduced us to the wonderful sound of Heterophony …. a form of singing where each singer sings in isolation but with acute awareness of the ensemble effect…. well in theory…. 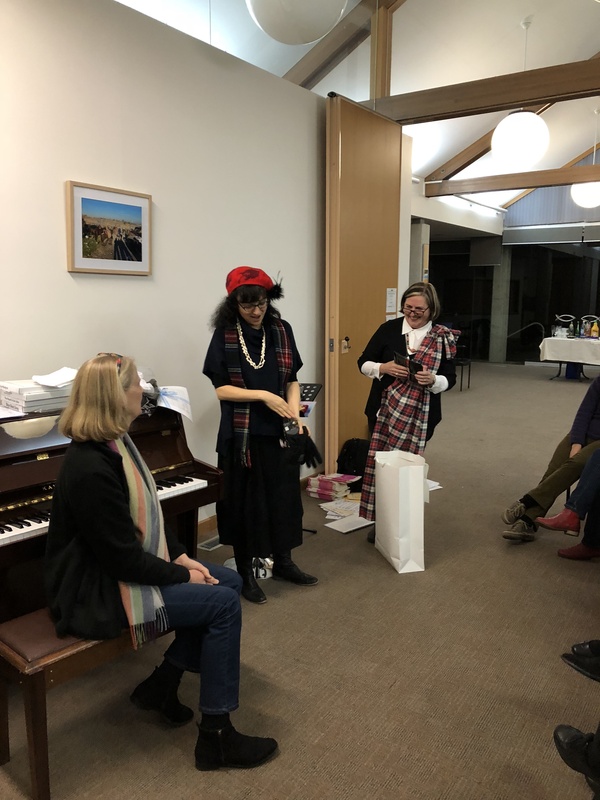 somehow we did end up singing in unison…. hilarious. Summer break until late January/early Feb 2020 with big plans….shhhhhh can’t tell you yet. If you have always wanted to sing in a choir, why not come along we are a friendly bunch and supportive of each other. Just contact us via this website (How to Join), so we know to look out for you – perhaps come and give it a go for a couple of weeks. We would love singers to attend every week but acknowledge that is not always possible. However a bigger pool of singers allows people to take time away without affecting the balance too much. There are section leaders and extra rehearsals plus other help learning the music. Our repertoire is wide and varied and there is usually something for everyone over time. We have social occasions as well and laugh a lot! On February 14th we were treated to a wonderful rehearsal with Dean Sky-Lucas.